Hopefully most fundraising events will be problem free but there is always the possibility of some mishap occurring. It may not be possible to cover every eventuality but there some common event problems to be aware of. Fundraising events are all about having fun and raising money for a good cause. Although no one likes to think that problems will occur certain precautions will be needed over a number of issues. Large fundraising events can mean crowd management measures, health and safety assessments and even entertainment licences. All of these issues and many more should be covered during the fundraiser planning stage. Planning for possible problems may not mean a problem free event but volunteers will know how to handle the situation if they occur. If there are numerous people involved in the fundraising event committee then one or two should be assigned to handle problems. These should be ‘go to’ people who will know how to handle particular emergency situations. Most of the problems that could occur can be dealt with during the planning stage; such as making sure the event has adequate insurance. But if problems do occur on the day it is always wise that there are one or two people who have been assigned to handle these problems. For instance, if someone is injured there should be trained staff on hand to deal immediately with this emergency. The health and safety of the public, entertainers and volunteers attending the event is a major consideration. A health and safety risk assessment will be required of both the equipment used during the event and any sports that are taking place. For instance, are there any extreme sports taking place during the event? These types of sports such as bungee jumping do come with some risk involved, especially if older people wish to participate. The risks should be weighed up when deciding the events that will require public participation. There may be a number of licences required for a public fundraising event. If public entertainment is provided such as music then a music licence may be a legal requirement. If films are to be shown as part of the fundraiser a licence from a local authority may be required although there are exceptions to this rule. The sale of alcohol will require an application to a magistrate’s court. Activities that take place on a public street will have to be cleared by the police and local authorities. Food hygiene is a very important issue; no one wants to be held liable for food poisoning. This issue should be taken very seriously and a licence may be needed if food is to be prepared ‘on site’. There are some basic safety rules for the cooking, storage and display of food to be sold at fundraising events. Information on this issue can be found on government websites. The Food Standards Agency has a booklet called Prevent Food Poisoning that can be downloaded from their website. Obtaining adequate insurance for a fundraising event should be one of the first priorities during the planning stage. 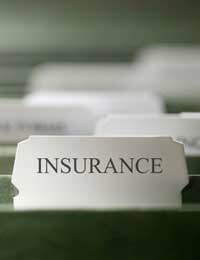 Insurance policies can cover numerous issues including loss of revenue from a poor turnout due to weather conditions and theft of hire equipment. Insurance can also be used to cover financial losses due to entertainers not appearing and breach of contract making the venue unavailable. Public liability insurance will be a necessity to protect against any claims from the public due to injury sustained at the event. If large crowds are going to be attending the event it may be a requirement to inform local authorities and the police. The police may be required when it comes to rerouting traffic, road closures and parking. Always keep third parties who are involved with the event up to date if there are any changes. Medical personnel may also be a requirement during the day and local authorities may be able to provide professionals on stand by. Planning and executing a fundraising event will mean assessing risks and problems that can occur during the day. This should not be stressful, and if it does look as if the risks are great then it may mean that the event should be simplified. Adequate staffing is another consideration and if extra volunteers are needed this should be assessed during the planning stage. Careful planning for all emergencies should mean the event will run smoothly even if problems do arise.